Pastor Jack Hayford believes the key to understanding the book of Revelation is to understand and correctly interpret the time and events surrounding the major earthquakes in Revelation. 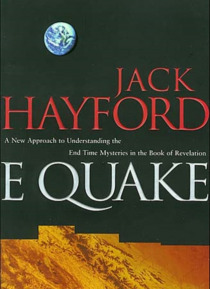 In E-Quake Pastor Hayford offers a practical study of the book of Revelation, not a speculative or sensationalized look at prophecy. Readers will understand how this revelation of Jesus Christ affects their lives … today. He also shows them how to live in what are perhaps the end times, how to keep things in perspective, how to make sure their value system and priorities are in order, and how to apply the teaching of Revelation in practical ways.